Tests conducted by an independent laboratory found that 61% of 33 brand-name red lipsticks contained detectable levels of lead. One third of the lipsticks tested by the laboratory were found to contain more than the 0.1 ppm limit imposed by FDA. I receive a report from the Environmental Working Group based in America. They have been doing a lot of research into different skincare products and produced a report called �Skin Deep�. In their latest bulletin that I have received they have been dealing with lipsticks. They rated the different brands and colours from 0-2 mildly hazardous 3-6 medium 7-9 high hazard. I copied the Revlon one that had the highest number of lipsticks shown. The document is not a good one as there are gaps etc and it is I think about 12 pages long but it covers everything.. Ingredients from packaging: ACTIVE INGREDIENT: PADIMATE 0. OTHER INGREDIENTS: LANOLIN OIL, CASTOR OIL, CETYL ACETATE, OCTYL HYDROSTEARATE, CANDELILLA WAX, OCTYL PALMITATE, PROPYLENE GLYCOL RICINOLEATE, CERESIN, PARAFFIN, ACETYLATED LANOLIN ALCOHOL, CARNAUBA, PVP/HEXADECENE COPOLYMER, VITAMIN E ACETATE, ACRYLATES COPOLYMER, ROSE HIPS SEED OIL, FRAGRANCE, METHYLPARABEN, PROPYLPARABEN, BHA. MAY CONTAIN: MICA, IRON OXIDE, TITANIUM DIOXIDE, D&C ORANGE NO. 5, D&C RED NO. 21 ZIRCONIUM LAKE, FD&C YELLOW NO. 6 ALUMINUM LAKE, D&C RED NO. 27, D&C RED NO. 27 ALUMINUM LAKE, FD&C YELLOW NO. 5 ALUMINUM LAKE, FD&C BLUE NO. 1 ALUMINUM LAKE, D&C RED NO. 6 BARIUM LAKE, D&C RED NO. 21, D&C RED NO. 6 CALCIUM LAKE, D&C RED NO. 7 CALCIUM LAKE, D&C RED NO. 33 ALUMINUM LAKE, D&C ORANGE NO. 5 ZIRCONIUM LAKE, BISMUTH OXYCHLORIDE. NEW! No reviews or ratings yet. Log in and be the first to leave a comment! 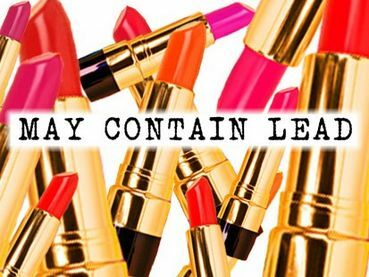 While you may not be able to test for lead by rubbing a gold ring on your lipstick as some urban legends suggest, laboratory testing initiated by the Campaign for Safe Cosmetics has found that some lipsticks from top brands do contain lead. Lead is a potent neurotoxin and linked to numerous other health and reproductive problems�and it doesn't belong in lipstick. Very scary, Ed. Thank you for the contribution! You know, lipstick can indeed be made the god-given natural way. And a lot of companies are already making it without lead and any other dangerous chemicals. Then, why put lead and all these other toxic chemicals in the traditional lipstick and poison women?